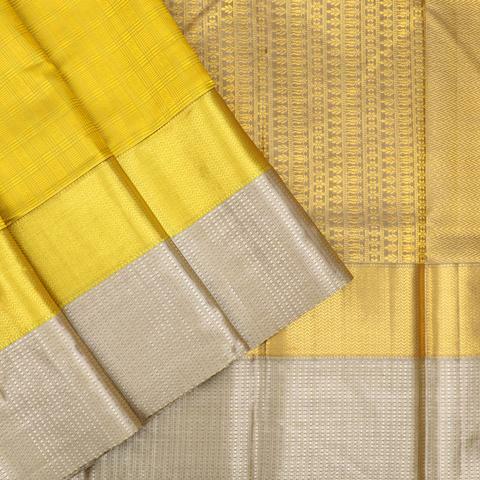 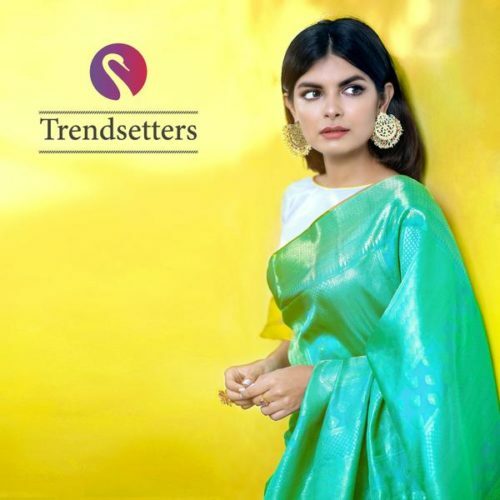 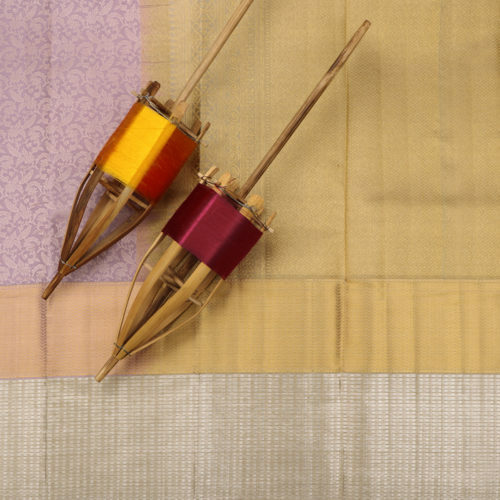 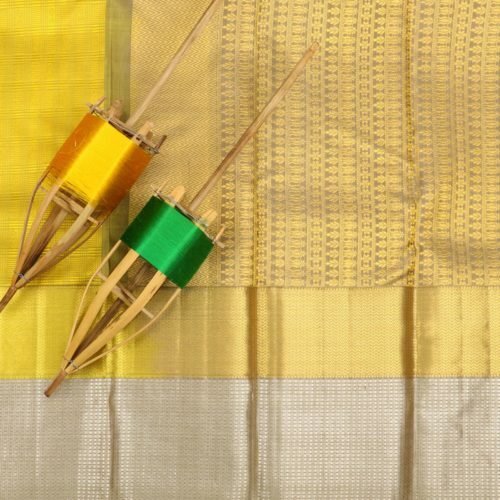 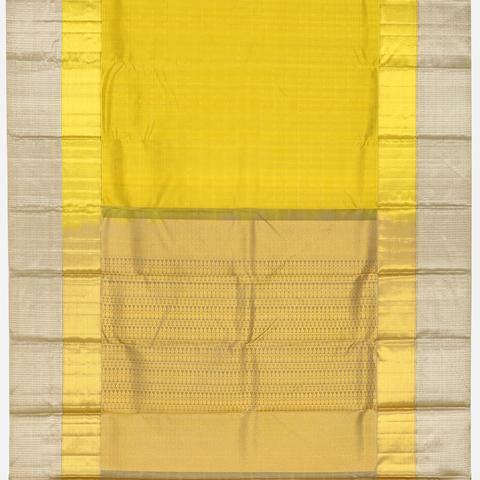 This luscious olive-yellow saree has rectangular checks with a jacquard pattern. 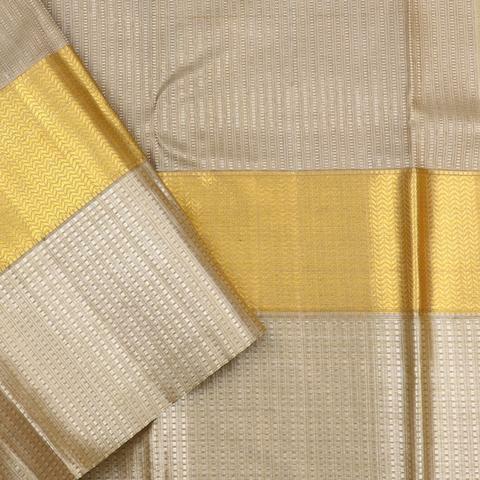 The body is enveloped by an exclusive grey zari border on top of which is the golden zari herring-bone pattern. 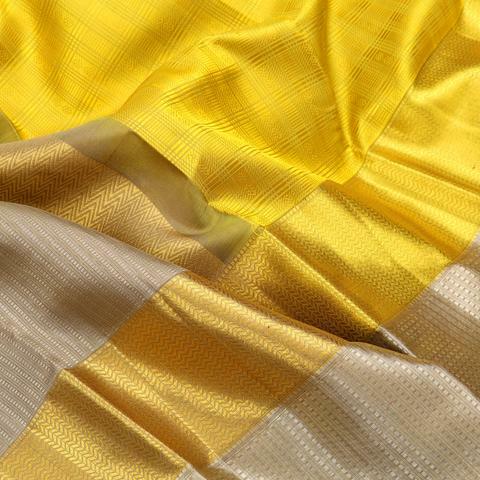 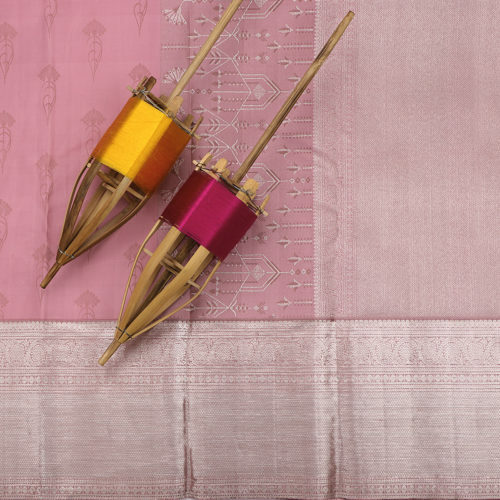 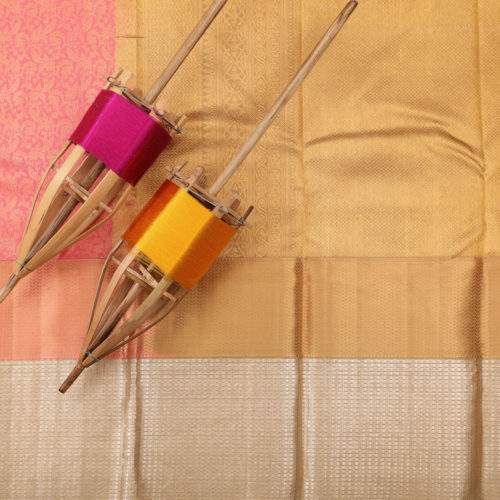 The saree comes with a golden-grey rich zari pallu and a shimmering silver-grey blouse. 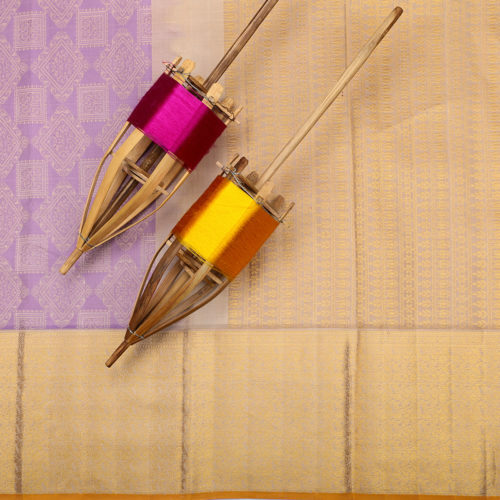 Purchase this product now and earn 14000 Points!